There is a common misconception that any cancer can kill a person. But this is not true. Not all types of cancer can kill a person. More than 50% who have been diagnosed with cancer lived for more than five years. Some types of cancers even have survival rates of more than ninety percent. Aside from that, cancer at an early stage does not kill. This is why a lot of effort has been put into early diagnosis so that treatment is much more likely to be effective. The way cancer can cause death can vary depending on the location of the malignancy. Some types of cancer can spread to take over part of the body that carries out an essential function. For example, cancer that grows in the digestive system can block the absorption of nutrients and prevent proper excretion of body waste which can poison an afflicted person. A person whose cancer has advanced to the point that it is incurable by any means will have lost the energy and strength to fight off infections, even with strong antibiotics, and so the infection can eventually lead to this person’s death. The human body has very finely balanced limits for certain body salts and chemicals. For example, a certain amount of calcium has to be present in the blood. If the levels of calcium in the blood go up or down, it may upset the whole chemical balance of the body. If the cancer cells are found in some of the bones in the body, a lot of calcium may be released into the blood stream. Normally, the body has systems to correct this sort of imbalance. But when the chemical imbalance becomes too great, the systems will stop working, shutting down some parts automatically. There are treatments that can bring the calcium levels back to normal, but these only work for a limited time. Then, unfortunately, the calcium levels will rise in the blood until the person becomes unconscious and eventually dies. Some cancers can produce particular substances that upset the body’s chemical balance. This can cause problems, such as severe weight loss or dehydration, which will eventually overwhelm the natural balancing systems of the body, and will lead to death. If the cancer cells develop in the bone marrow, then there will eventually be inadequate healthy bone marrow to produce blood cells. This causes anemia, which is a sickness of not having enough red blood cells in one’s system. Without enough red blood cells, there won’t be enough oxygen that will be carried around the body. Because the bone marrow is afflicted with cancer cells, production of white blood cells will be also inadequate. As white blood cells fight infection, the body will have more and more difficulty keeping bacteria and viruses under control. A drop in platelets prevents the body from controlling any abnormal bleeding. If a blood vessel in a vital part of the body is damaged – for example, in the brain – then the bleeding can cause a stroke. The stroke may be fatal because the body cannot control the bleeding anymore. 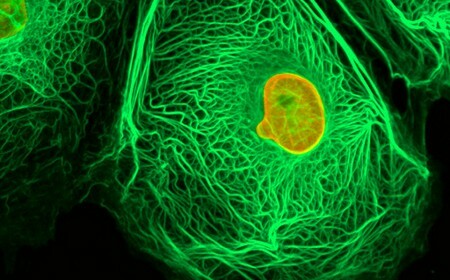 Many cancer treatments can control the cancer’s growth for a long time even though they can’t cure it. But if the cancer continues to grow, then it can become too much for the body to cope with and eventually the treatment can no longer control the cancer, and the patient will die from complications.